Clark Seif Clark (CSC) provides testing solutions for all types of properties impacted by smoke residues due to wildfires across the region. Residues left behind from wildfire smoke can cause concerns that could impact the health of building occupants, damage materials and even lower property values. Close to two dozen wildfires are burning across California as of the first week of August. The ongoing draught conditions, warm temperatures and strong winds have fueled the fires that have forced the evacuation of thousands of residents in different parts of the state. Tens of thousands of acres have already been torched and the wildfires have caused mandatory evacuations in some areas. Tragically, the fires have taken the life of one firefighter and destroyed numerous properties in the path of the flames. While some structures have been burnt to the ground, others have remained standing with varying degrees of smoke damage. Some of these commercial and residential properties are miles away from the actual flames as thick smoke from these wildfires can be carried great distances. 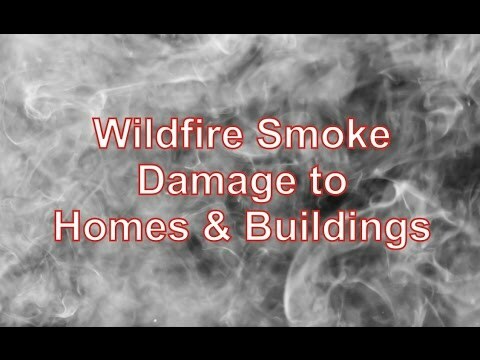 Residues left behind from wildfire smoke can cause concerns that could impact the health of building occupants, damage materials and even lower property values. While property insurance often covers this type of damage, it is frequently left to the property owner to provide proof of damages. Clark Seif Clark offers testing services to scientifically determine the presence of smoke residues and to help ensure that any smoke damage remediation work is done properly. To learn more about fire and smoke residue testing services or other indoor air quality (IAQ), industrial hygiene, health and safety issues, please visit www.csceng.com, email csc@csceng.com or call (800) 807-1118.